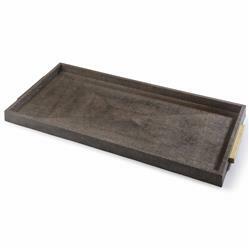 Sleek and sophisticated, the Uma Tray brings serious style with a dash of danger. The natural brown vintage python pattern is flanked by matte gold handles. Serve guests with a dramatic flourish or add luxury to breakfast in bed.